Jellyfish Poetry — You Ready? Jellyfish Magazine and Bloom Books at WHALE PROM, AWP 2018! 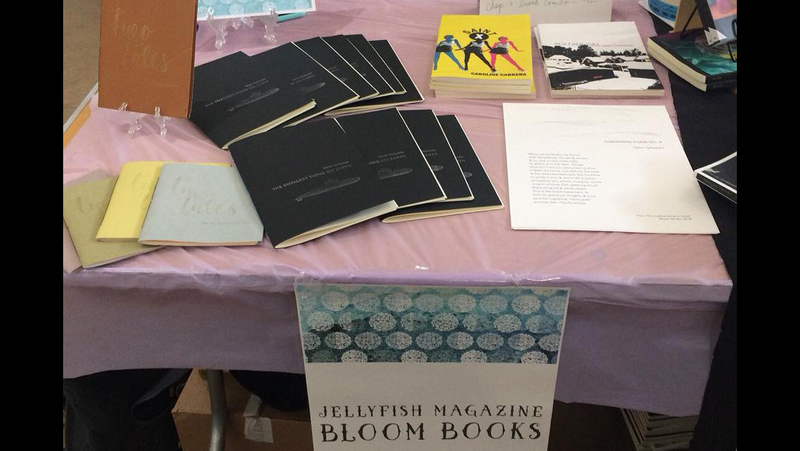 You might have seen Jellyfish or Bloom Books at AWP 2018 in Tampa, FL. Why? 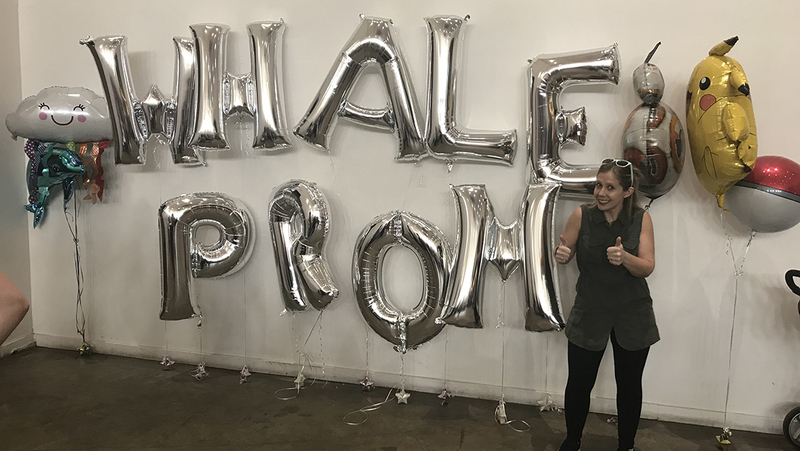 Because we were at the first annual WHALE PROM, an alternative book fair at the Rialto Theater! We sold copies of our newest chapbook, Talin Tahajian's the smallest thing on earth, as well as the last copies of the first print run of Lo Kwa Mei-en's Two Tales ! 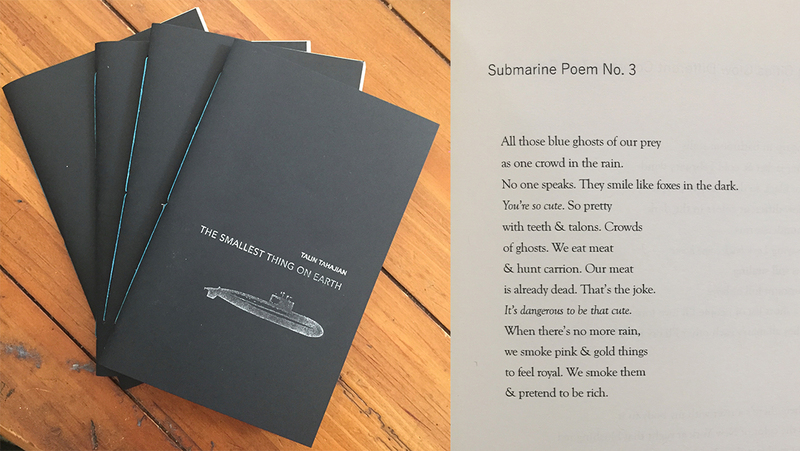 We sold broadsides of a poem from the smallest thing on earth, as well. (If you would like to purchase (small donation!) a copy, contact us at Jellyfish. NOW AVAILABLE: Talin Tahajian's the smallest thing on earth! We are excited to announce that Talin Tahajian's the smallest thing on earth is now available for $10 (with Free Shipping for inside the US)! the smallest thing on earth asks wild divine questions about the universe and our place in it, but from the grimy city beach, the bathroom floor, the club basement. By piecing together flashes of what people do in secret, we witness an intimate exploration of the confusing state of urbanity when there's so much humanity flowing through it. The city becomes its own sort of animal.